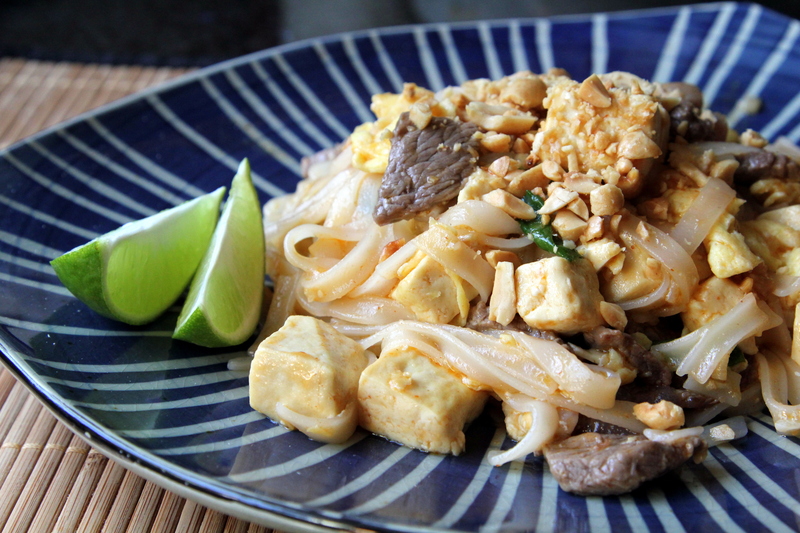 Pad Thai [recipe] – Cin Cin, Let's Eat! I had some leftover ingredients from the previous post, and I still had craving for noodles…so there we have it, new dish #2: Pad Thai. It was a slight failure- the texture was a bit mushy but tolerable, most likely user-error. I didn’t have sprouts and radishes, substituted shrimps for beef slices, and added 2 eggs. It was still a really good dish, but it did not have the same sweetness as the Pad Thai that I’m familiar with. Perhaps a bit too spicy too. But that didn’t stop the hubby and me from gobbling these deliciousness up. That still looks great to me. I think I’d be just like your husband and devour it. Looks delicious! I don’t see any beat sprouts, though.